105.4 Radio Spice Dubai Live Streaming Online . Listen Over 100 Hindi Radio Stations Online . 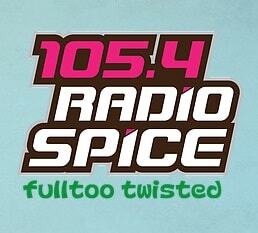 Radio Spice redefines radio by being a frequency for the “Fulltoo Twisted” listener . Its programming has been designed keeping in mind listeners that are young at heart, citizens of the world, positive and edgy. A team of five versatile jocks keep listeners entertained through a programming grid which along with great music includes interaction that is wacky, humorous and vibrant . Each jock brings out a streak of their own personality on the shows that cater to the different audiences and moods we experience during various times of the day.